The US government has told Bank of America that it needs to bolster its capital cushion by as much as $34bn (£22.6bn) after a stress test found weaknesses in the bank’s ability to withstand any further shocks. Bank of America’s executives learned of the figure from treasury officials before tomorrow’s public release of the results of tests on the 19 largest US financial institutions. As many as 10 banks, including major players such as Citigroup and Wells Fargo, are likely to be told that they need extra capital. 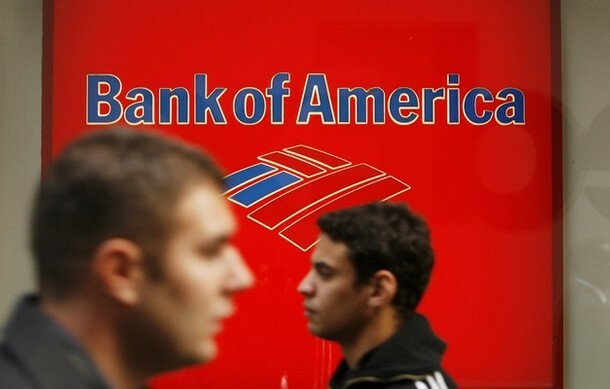 But BoA’s shortfall could be the largest of any bank. May 6 (Bloomberg) — Banks that need to raise capital under the government’s stress tests will have until June 8 to develop a plan and until Nov. 9 to implement it, U.S. bank regulators said today. The North Carolina-based bank, which is the largest US high-street player in terms of deposits, has been financially weakened by its purchase of the troubled Wall Street brokerage Merrill Lynch, which lost $15bn in the final quarter of last year. Angry about the deterioration in the bank’s condition, shareholders last week voted to strip chief executive Ken Lewis of his title as chairman. A BoA spokesman declined to comment, but the bank’s chief administrative officer, Steele Alphin, told the New York Times that he was disappointed by the treasury’s findings. BoA has a number of options to generate the money. It could sell assets – a lock-up provision expires this week allowing BoA to sell a portion of its stake in China Construction Bank, worth about $8bn. Several subsidiaries could be put on the block, including First Republic, a bank acquired as part of BoA’s purchase of Merrill Lynch. But with few investors willing to subscribe for public fundraisings by troubled banks, BoA may have to go further by converting part of the US government’s $45bn in preferred shares to common equity, bolstering the tangible funds at its disposal. Experts believe the government could set a target of 3% to 4% for banks’ tangible common equity to risk-weighted assets. Paul Miller, a banking analyst at FBR Capital Markets, calculated that a target rate of 4% would require 11 of the 12 leading commercial banks to raise capital – including BoA, Citigroup, Wells Fargo, US Bancorp and Sun Trust. The only exception with a high street network would be JP Morgan, although Wall Street firms such as Goldman Sachs and Morgan Stanley would also be judged secure. Conceived by the Obama administration as a way to reassure the public and the markets over the soundness of the banking system, the treasury’s stress tests have become an increasingly delicate political issue. The treasury was initially reluctant to make its findings public but has agreed to publish them after the US stockmarket closes on Thursday. Rumours have been rife about the findings. Certain reports have suggested that Citigroup may have to raise as much as $10bn. Banking commentators are concerned that the public may misinterpret negative results as a judgment on the security of deposits fully insured by the government-backed Federal Deposit Insurance Corporation.